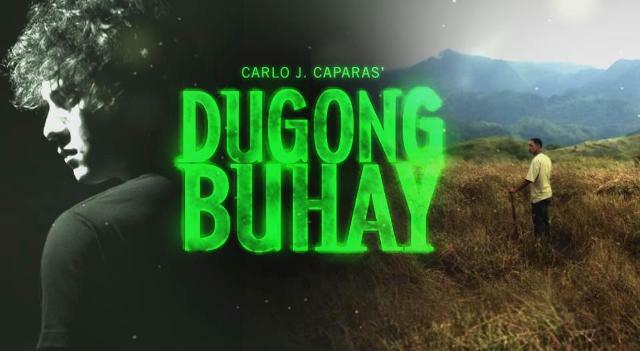 Dugong Buhay, 3:30pm- Ang Huling Dalawang Linggo! MULING BUKSAN ANG PUSO 9:15PM- Ang Huling Tatlong Linggo! MOMZILLAS, ngayong September 18 na! Lurkers don't be shy, post na! Balladeer Erik Santos feels good about how his career is going. But he thinks hes missing out on something important -- a family of his own. Siguro, in the next three to five years, I have to establish my own family na rin. Kasi, kailangan din yun di ba? Yung maka-build ka ng sarili mong pamilya. Im looking forward to that, Erik told the press at the pictorial for his 10th anniversary concert InTENse on Tuesday, September 10. Is he single and ready to mingle? Erik shared that he is not exclusively dating, but he prefers non-showbiz girls to avoid controversies. Nagdi-date naman ako. Theyre private people. As much as possible (non-showbiz), para tahimik, he said. In his ten years in showbiz, Erik feels fulfilled as a singer. Hehas won various awards, including the Star Awards For Musics Male Pop Artist of the Year and Song of the Year for Kulang Ako Kung Wala Ka. Erik has also released more than ten albums, some of which went double and triple platinum. Erik hopes to be like Gary Valenciano and Martin Nievera, who hold concerts to this day. As a singer, Erik wants to conquer the international scene.